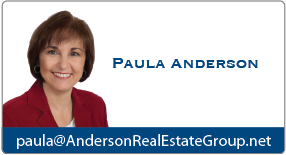 The Web site you are accessing (the "Site") is hosted by Anderson Real Estate Group® ("AREG"). This Policy explains how personal information is collected, used, and disclosed with respect to your use of the Site, so you can make an informed decision about using the Site. We use personal information you provide to deliver services to you, to process your requests or transactions, to provide you with information you request, to personalize content, features and advertising on the Site, to anticipate and resolve problems with the Site, to respond to customer support inquiries, to inform you of other events, promotions, products or services offered by third parties that we think will be of interest to you, to send you relevant survey invitations related to the Site and for our own internal operations, and for any purpose for which such information was collected. We may, from time to time, contact you on behalf of external business partners about a particular offering that may be of interest to you. In those cases, your personal information (e-mail, name, address, telephone number) is not transferred to the third party unless you have consented to such transfer.